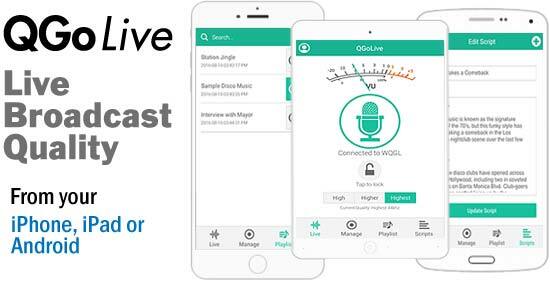 QGoLive lets you do broadcast quality live shots using your iPhone, iPad, Android, PC and Mac. All it takes is an iPhone to do a live shot in hifi - no external equipment is required. It lets you stack and switch multiple reporters for a round robin. You can also insert and play out multiple cuts of audio recorded in an external app. To learn more, please visit QGoLive.com.